A place to encounter God. A getaway built to bring rest, healing and growth. Perfect for individuals, couples and small families, choose from one or two bedroom suites with a small kitchen, screened-in porches and patios. Step outside and jump on the trails! Sleeping up to 18 people, this 3 level cabin is ideal for groups or large families. It features a wood burning stove, screened in back deck and fire pit. The breathtaking views are both inspiring and relaxing. Nestled away from the other cabins, enjoy the solitude and stillness desired for contemplation. 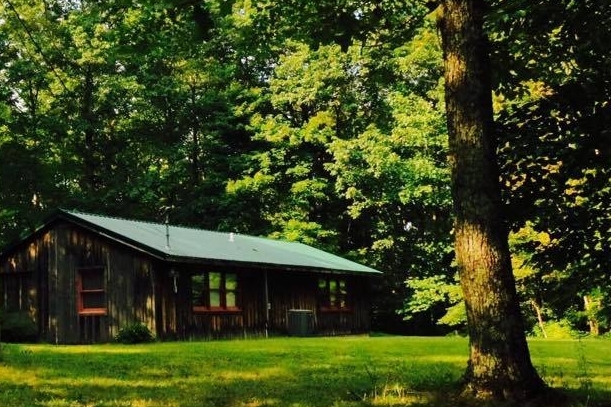 Sleeping up to 6 people, this cabin is wonderful for couples, families or small groups.